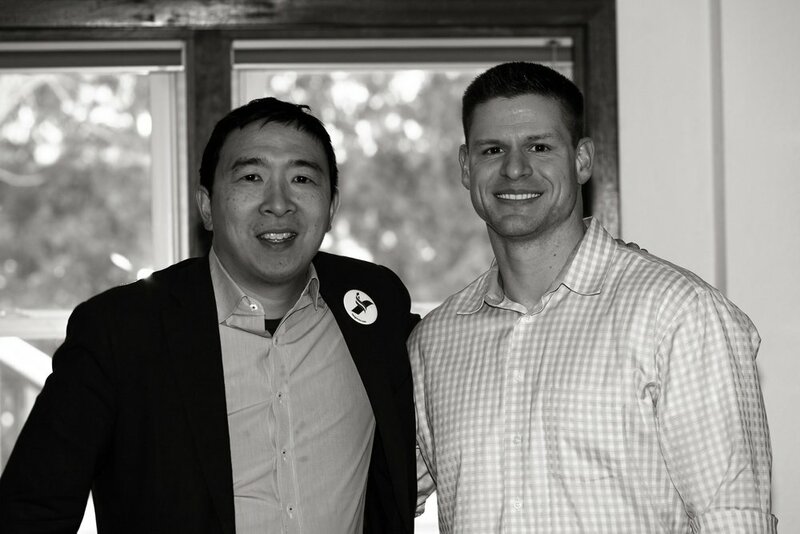 Andrew Yang is running for president of the United States in 2020 as a democrat. His core message centers around the idea of universal basic income (UBI) which would provide every U.S. adult citizen with $1,000 per month. Andrew has served as the CEO, cofounder, or executive for several technology and education companies and was one of the first candidates to announce his bid for the White House. In the interview, Andrew details the urgent need for UBI and promotes his plan, which he calls the Freedom Dividend, as a way to help offset the forthcoming negative effects caused by automation and artificial intelligence. His recent book, The War on Normal People, acts as a wake up call to radically rewrite our social contract and reimagine our economic future. He is a fascinating person with bold ideas. This episode is worth a listen.